Eau Claire’s biggest visual art exhibit of the year is upon us, and unless you’re a participant or the parent of one, you might not have even heard of it. If that’s the case, you’re reading this just in time to enjoy an amazing display of youthful creativity embodied in almost every medium imaginable, from watercolor to ceramic to string-and-construction-paper. 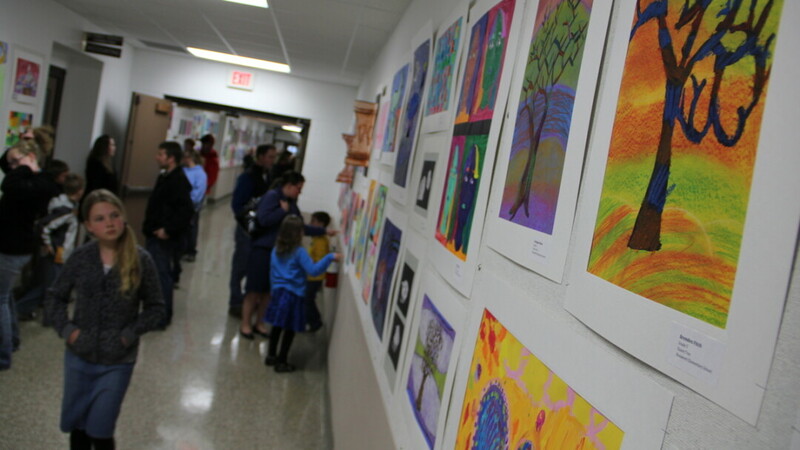 Each spring, visual works by hundreds many of the district’s elementary, middle, and high school students takes over the John D. Beck Student Art Gallery, located along the hallways of the school administration building, 500 Main St. This year’s show will feature more than 800 works of art, which will be open to public viewing 8:30am-4:30pm Monday through Friday until mid-May. The excitement begins with a free reception on Friday, April 17, which will draw artists’ parents, grandparents, uncles, and aunts from across the Valley – and maybe even a few others, young or old, who will appreciate all this art and the youthful creativity that inspires it.